A state-of-the-art competition at USF will bridge the gap between mind and machine. The 2019 USF Brain-Drone Race, scheduled Feb. 9 at the Yuengling Center, will feature teams from around the world as they race drones using brain power. USF assistant professor Marvin Andujar, department of computer science and engineering in the College of Engineering, is organizing the event. He led the University of Florida group that first started the competition in 2016. Andujar says this year’s event will be the world’s first international competition of brain-drone racers, featuring teams from the United Kingdom, Japan, and Brazil, as well as several teams from USF and from across the United States. While the idea of piloting a drone with your mind may sound like science-fiction, it’s really a combination of neuroscience and computer science. The underlying technology is part of a much larger field of study into brain-computer interfaces (BCI) – a term first coined in the 1970s. BCIs are devices that create a pathway between the brain and an external device, such as a drone, computer or prosthetic limb. While brain-drone racing represents a piece of the innovative potential of BCIs, the technology is also being utilized in life-changing ways. BCIs have been in development for medical applications for decades. They can be used by patients to control prosthetic limbs and have even helped return partial sight to vision-impaired individuals. In people with Lou Gehrig’s disease, a neurodegenerative disease that destroys nerve cells and causes disability, the technology is also being refined to provide communication and mobility assistance. The 2019 USF Brain-Drone Race at the Yuengling Center is free and open to public. 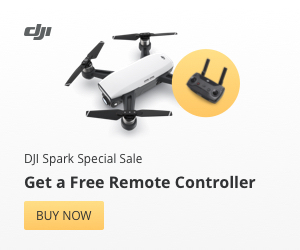 For more information and updates visit braindronerace.com.